هجر hajr, vulg. but corr. hijr inf. n. of هجر 'to separate,' c.
A هجر hajr, vulg. (but corr.) hijr (inf. n. of هجر 'to separate,' &c.), s.m. Separation; disjunction;—desertion (of country or friends);—absence. A حظر ḥaz̤r (inf. n. of حظر 'to prohibit'), s.m. Forbidding, prohibition; seclusion;—harshness, rudeness. H هزارون हज़ारों hazāroṅ [hazār+oṅ = Ap. Prk. अण्हहुं=Prk. अण्हं=S. (आ)नाम् suff. of gen. pl. ], coll. s. pl. Thousands; thousands upon thousands; in or by thousands (i.q. 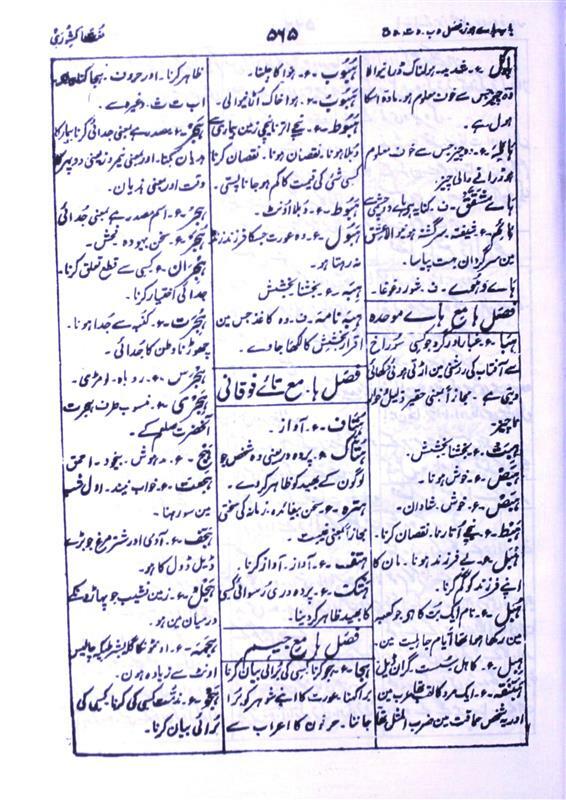 hazārhā):—hazāroṅ-meṅ, adv. In the presence of thousands; in public. 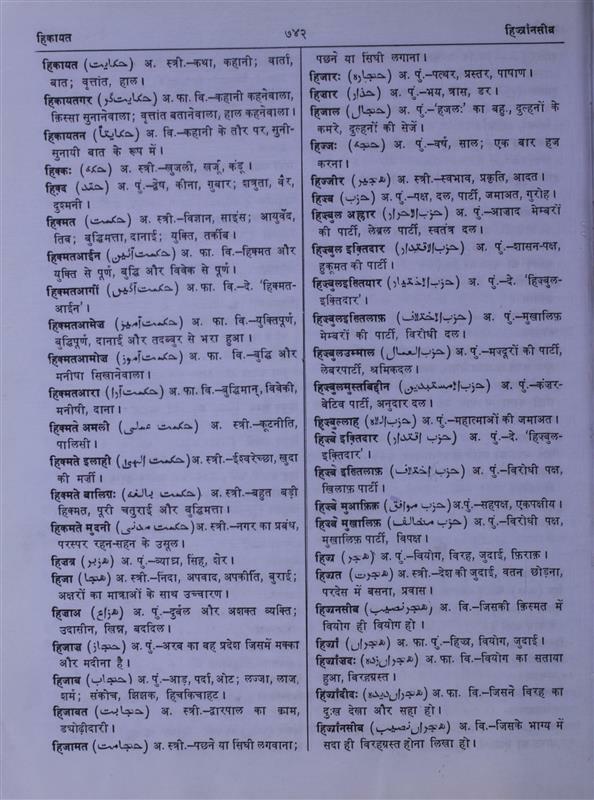 H هجور हुजूर hujūr, or हजूर hajūr, corr. of حضور ḥuẓūr, q.v. P هزار hazār [Zend hazaṅra; S. सहस्त्र], adj. & coll. s.m. Thousand;—a thousand;—a bird called 'the thousand voices,' the nightingale (i.q. 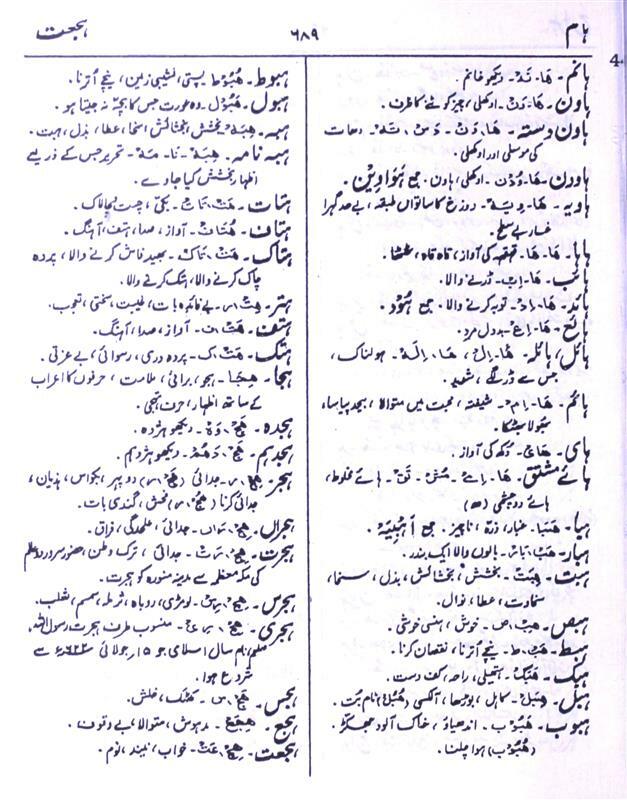 hazār-dāstān):—hazār-pā, s.m. A centipede, scolopendra:—hazār-ćashma, s.m. Cancer (the disease):—hazār-ḵẖāna, adj. 'Having a thousand cells';—honey-combed;—s.m. The second stomach (of beasts), tripe:—hazār-dāstān or dastān, s.m. The nightingale (lit. 'of a thousand tales'):—hazār rang badalnā, To vary or change greatly; to be very fickle:—hazār-gāʼīda, or hazār-meḵẖī, s.f. A common strumpet; a harridan.